The Recording Academy has completed its annual review of awards rules and regulations and established a series of new amendments to guide the GRAMMY Awards process moving forward. All changes go into effect immediately, including the transition to online voting, a move that provides the Recording Academy’s more than 13,000 voting members greater access and flexibility than ever before. Additional amendments, including changes to the Album Of The Year category, album definitions, and Music For Visual Media Field are outlined below. Throughout the year, the Recording Academy accepts proposals to update awards-related rules and policies, and its Awards & Nominations Committee, comprised of a cross-section of Academy voting members, meets annually to review all proposed amendments, which are then voted on and ratified at the Recording Academy’s semiannual Board of Trustees meeting held in May. For the first time, voting members will cast their GRAMMY Awards votes online rather than by paper ballot. This transition will provide greater flexibility for touring artists, eliminate the possibility of invalid ballots, and protect further against fraudulent voting. All voting members in good standing will be eligible to vote online in both rounds for the 60th Annual GRAMMY Awards. Moving forward, all music creators (songwriters, producers, engineers, mixers, mastering engineers, featured artists) credited with at least 33 percent or more playing time on the winning album will be eligible to receive a GRAMMY in the Album Of The Year category. Previously, songwriters were not recognized in this category. Beginning this year, Nominations Review Committees will be created and implemented for the Rap, Contemporary Instrumental, and New Age Fields. A Nominations Review process was established in 1989 as an additional round of checks and balances to eliminate the potential for a popularity bias that puts emerging artists, independent music, and late-year releases at a disadvantage. Since then, Nominations Review Committees have been established across 15 awards fields. To be eligible for GRAMMY consideration, an album must comprise a minimum total playing time of 15 minutes with at least five distinct tracks or a minimum total playing time of 30 minutes with no minimum track requirement. Prior to this amended album definition, the only delineation was 15 minutes and five tracks. The definition expansion allows for greater inclusion of music creators who produce longer pieces, particularly in the Classical, Dance, and Jazz Fields. 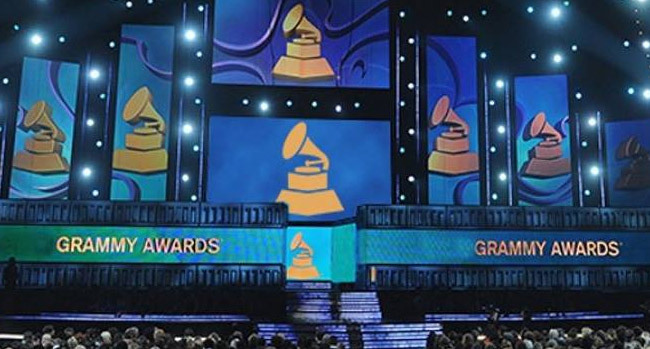 As a general rule, only one version of a track is permitted for entry in the GRAMMY Awards process. Moving forward, an exception will be made in the Best Song Written For Visual Media category, allowing the film version of a track to be entered in the category, even if a different version of the track is submitted in other categories. In the Best Compilation Soundtrack For Visual Media category, eligibility guidelines have been amended to require soundtrack albums for a documentary or biopic to contain 51 percent or more of newly recorded music.